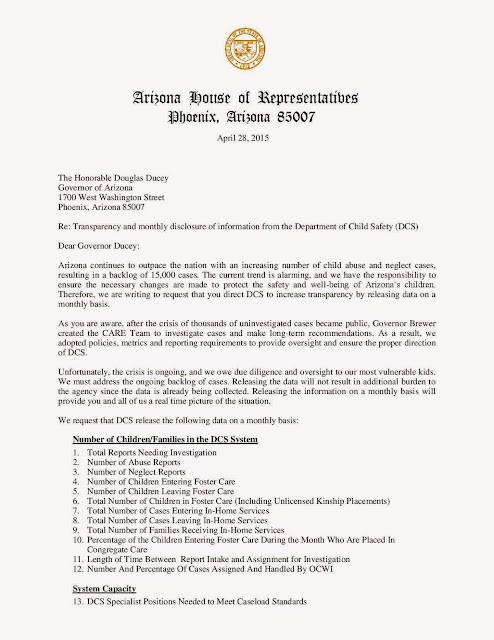 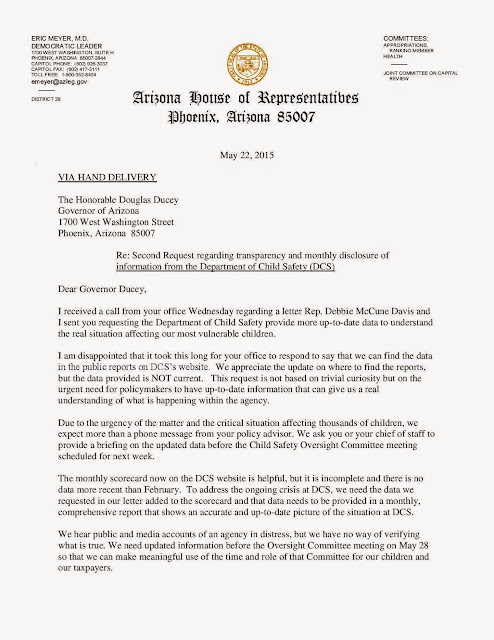 In light of reports of ongoing issues facing the Department of Child Safety, House Democratic Leader Eric Meyer, D-Paradise Valley (District 28), and Rep. Debbie McCune Davis, D-Phoenix (District 30), have called on the governor's office to provide up-to-date and accurate information regarding the department. Today, they sent a second request, after a delayed response from the governor's office did not yield current information. Below is a copy of the letter delivered this afternoon. 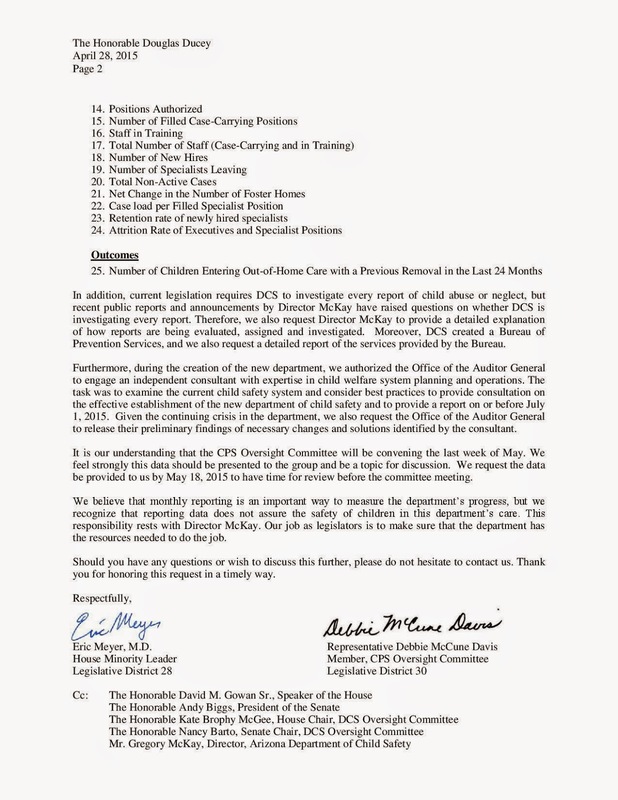 This letter follows a request Meyer and McCune Davis sent in April. 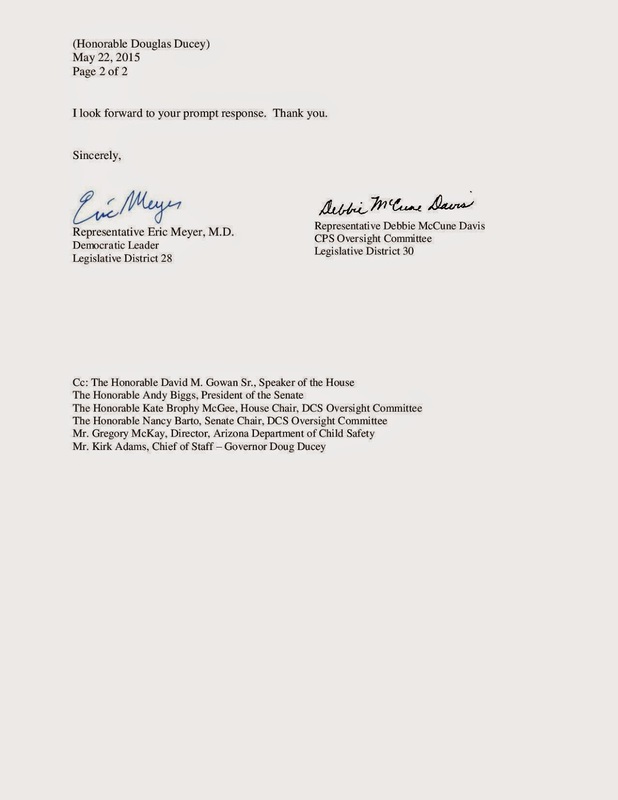 Below is a copy of the original letter.